We first worked with Jory in January when he asked us to print a display sign for his award winning ping pong table. For that project we used gold ink on 4-ply museum board (about 60pt thick). A few months later, Jory game to us for business cards. We again went with a gold-on-black look, but this time with thinner 2-ply museum board and metallic gold foil. We finished the cards with a rich orange edge paint. 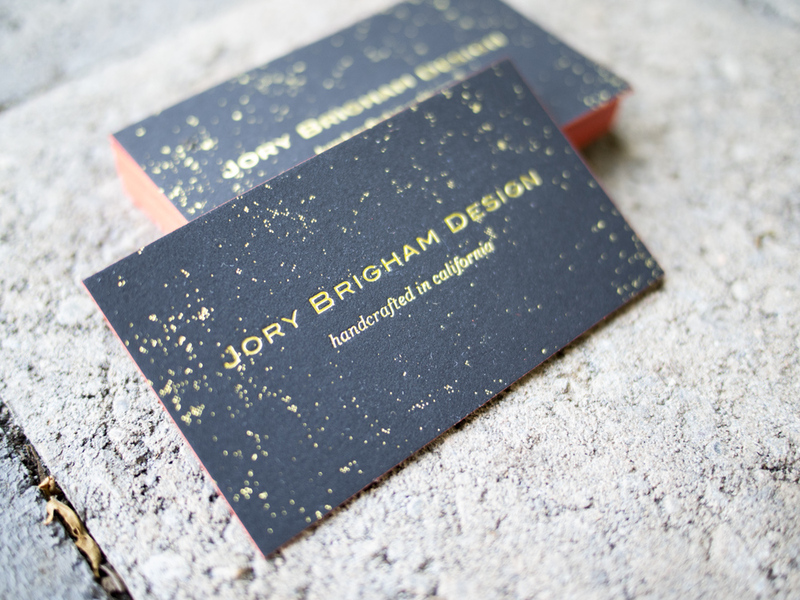 Posted in business cards and tagged with gold foil, rising museum board, black, orange, edge painting, 2-ply. November 10, 2015 by Travis Friedrich.